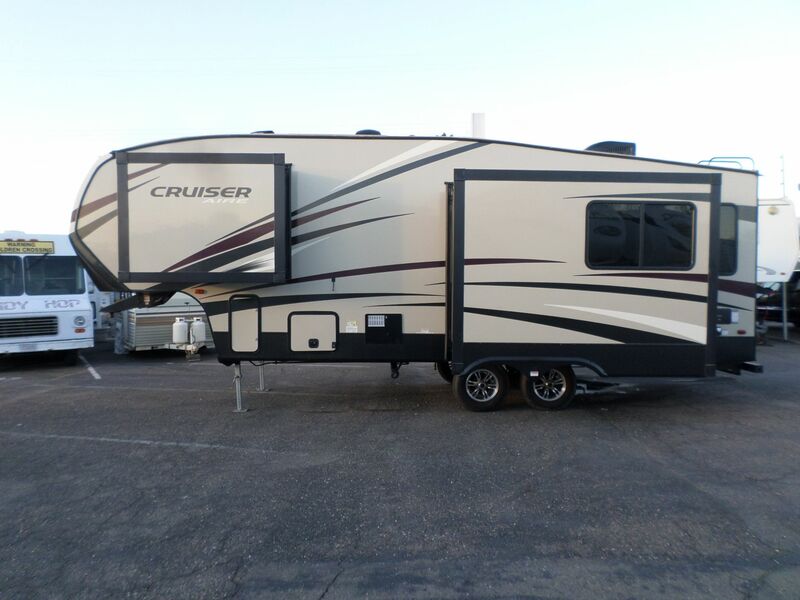 2017 Crossroads RV Cruiser Aire 5th Wheel 25RL 28' . . . Original owner, Non Smoker, Walk around master, 2 Slides, A/C and forced air/heat, fireplace with fan, 2 TV's, antenna with booster, wired for cable, solar and back up camera prep, gas/electric refrigerator, 3 burner gas stove/oven, microwave, double sink, tall kitchen faucet, 2 batteries, power awning, pass thru storage, outside speakers, tire covers, outdoor hot and cold water at docking station, 2 propane tanks (30 lbs), aluminum steps, Everything works.